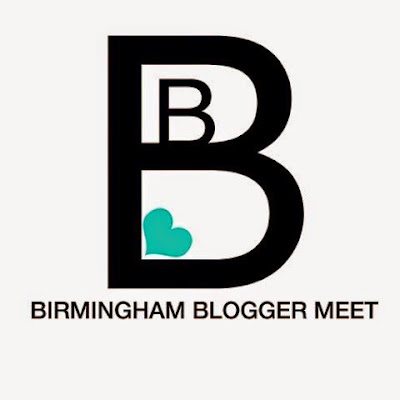 This weekend was the #bhmbloggermeet over at Brindley Place, Birmingham. I had such a brilliant time and I have so much to tell you about the day and what we got up to, that I’m actually going to do several posts. One about the adventures we had on the day, one on that all essential outfit and make-up, one on the amazing goodie bags we were lucky to get, and a final one about a couple of items I bought at Selfridges afterwards! Phew! What a packed weekend. So, first of all, a look at what happened on the day. 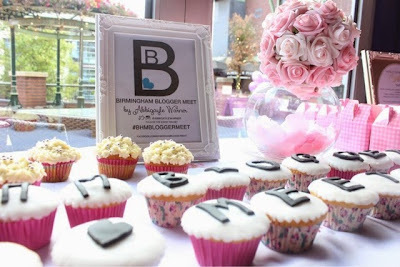 It was all organised by the very lovely Abbigayle Warner from Stealstylist.com. The amount of hard work she put in to make sure we all had a great day was unreal. 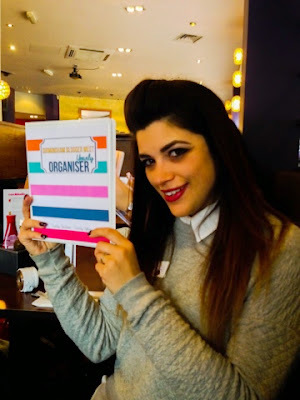 She truly is the queen of events and organising, and she did an amazing job, as you’ll see from the pics below. 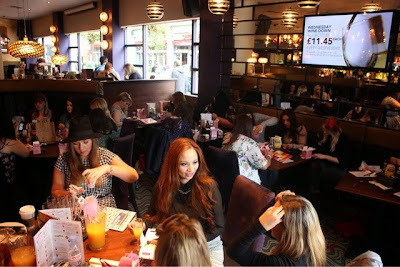 Then we headed over to the meet, which took place at The Slug and Lettuce on the waterfront. 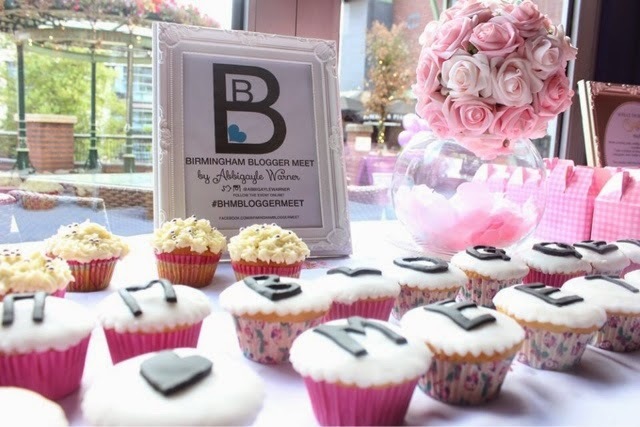 It was lovely to meet some of the other bloggers I regularly read. Abbigayle had an amazing day planned for us. The pictures below are a mixture of my own shots and hers, credit where credit’s due! We started the day with some games and blogging tips to get to know each other, and each answered some questions. 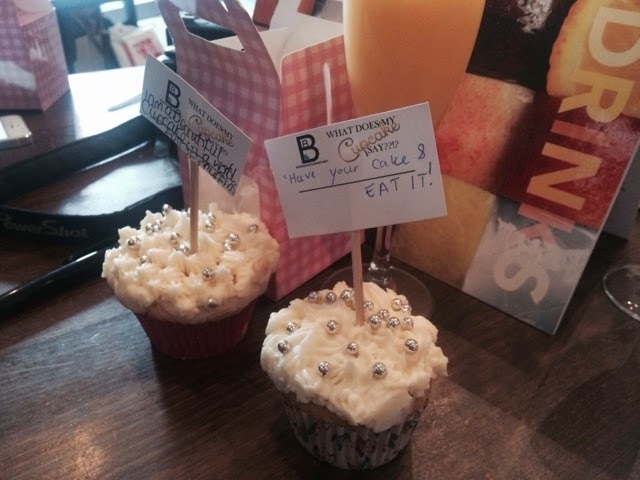 We then had a ‘Caption the Cupcake’ Instagram competition and yes, we did get to eat them afterwards. Mine didn’t last five minutes! Yum! Abbigayle gifted us all these great organisers to help us understand the goals for our blogs and plan out our posts better. Aren’t they great? Then we all got to meet Kirsty. 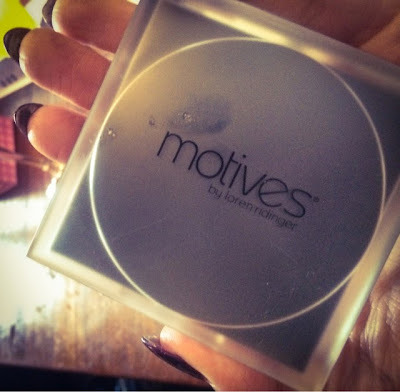 She’s a model and make-up artist, and she’s also the UK brand ambassador for Motives Cosmetics, so she showed us some of their bestselling products. 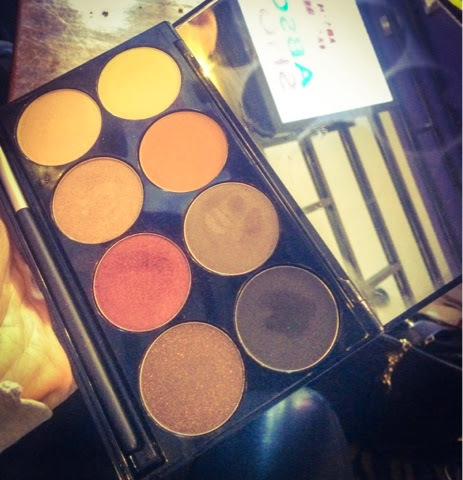 They’re a US brand from the MUA Loren Rodiger that is used by major stars such as Kim Kardashian and J.Lo (and oh my goodness, their make-up is impeccable, so I was very interested!). There were some amazing products. 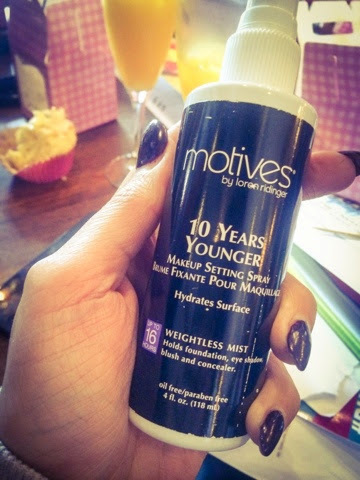 This stuff is their 10 Years Younger Setting Spray (they also had a mattifying one for oily skins). It’s a hydrating mist that sets your make-up to give it a fresh, glowing finish all day. It stops the product from collecting in any fine lines, which is important if you’re not getting any younger like me! If you don’t have to touch up during the day its also a huge bonus when you’re too busy with work to keep re-doing your look. I tried some and I thought it made my skin feel really lovely, very smoothed out and like there was a lightweight, invisible mesh over my face. 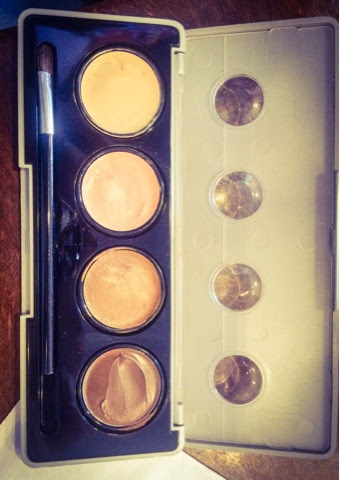 This product is a set of four highly pigmented creams that can be used for contouring, sculpting and camouflaging – basically making your face look much better. It’s available in two versions, ‘Fire’ (for warm skintones) and ‘Ice’ (for cool skintones). 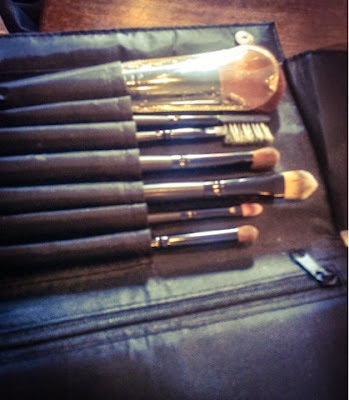 It can be hard to find good contour kits, even though it’s a huge thing in professional beauty, and lots of us amateurs are catching on as well, brands have been fairly slow to move on it. So its interesting to see this product - a must-have if you’re into a chiselled look! Price is £28.75. 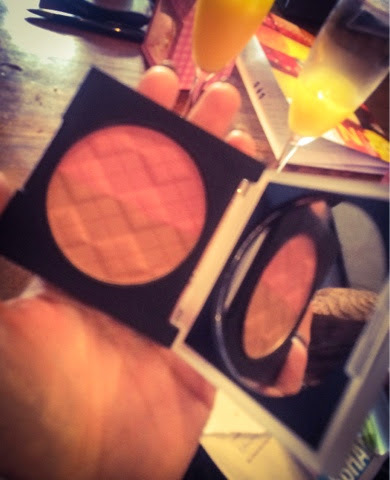 This palette was my favourite item Kirsty showed us. Its got eight shades in, all really wearable. A vanilla, a peach tone, a gold, a taupe shade, a cranberry tone, a dark brown/black and a sparkling bronze. The colours were gorgeous and I couldn’t get over the huge pan of each colour that you got - a really generous amount. You could create loads of looks with this – its pretty much got every colour you need for day-to-night glamour. Its priced at £28.75 which is really good when you see the amount you get. This little lovely is Motives starter brush set, and they all come in this little black brush roll for portability. Like everything in the range, they are cruelty free, but there’s a mix of synthetic and natural bristles to get the job done. You get a blush brush, an eye primer brush, shadow, crease, angled liner, a brow groomer tool and a lipbrush for £30.50, which is a great price. It would be a good set if you were just getting started and needed all the essential tools! Kirsty gave me some great tips on contouring after the talk, and it was great to meet her. She’s just launched her website over atkirstylo.com so do check it out if you have time. 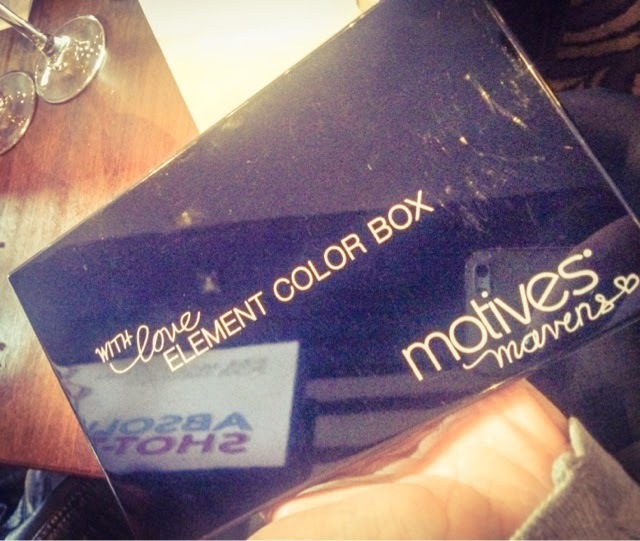 The Motives stuff can all be purchased over at uk.motivescosmetics.com. 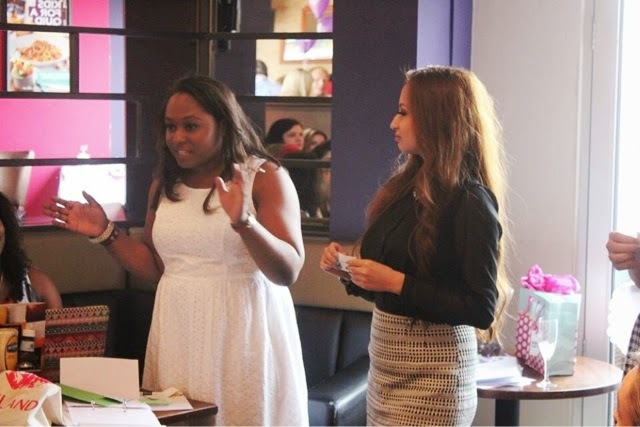 Then we had a mini masterclass from the girls at Central School of Makeup. 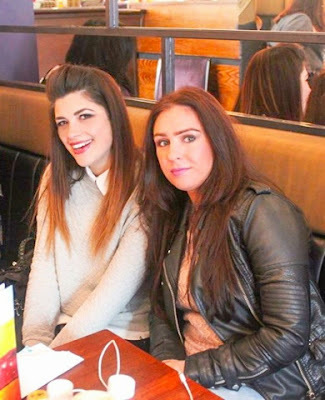 Maria and Jessica showed us the answer every woman’s lifelong question – how do I do even winged eyeliner? Turns out its all in the tilt! I got talking to Jessica afterwards and she told me she’s just about to start as a Topshop MUA – I was so excited to hear that because I’m a huge fan of their cosmetics. I’ve mentioned before that they’re made in the same factory as MAC products, they’re so underrated in terms of quality. 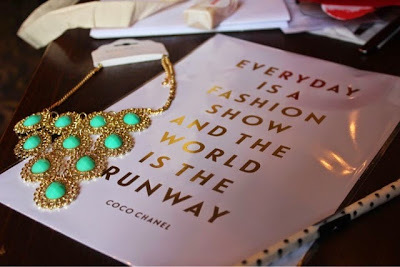 She’s just started blogging and not many bloggers cover TopShop make-up, so I can’t wait to read some of her posts. 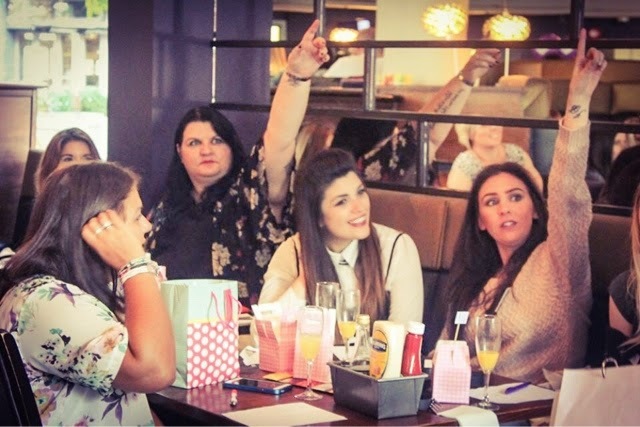 After that we had some more games and quizzes….you can see I obviously didn’t understand the question! The winner was Jenny from secretbeautybox, a very lovely lady who’d come all the way from the Wirral for the meet-up – she certainly deserved a prize for that and for her accurate answers, and she got a full set of the Bee Good products that looked amazing. We’d all worked up an appetite by then, so we pounced on the food that came out, which was all delicious. 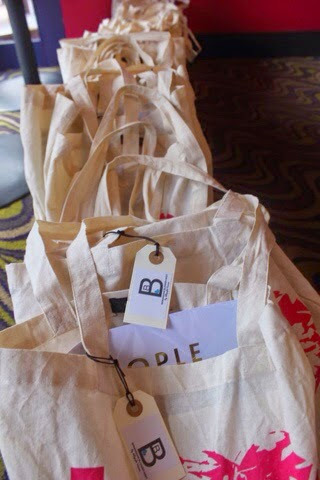 And we all got to take home these amazing goodie bags, which were so full of great stuff, I’ll be doing a separate post on them. And then, before we knew it, our time was up! 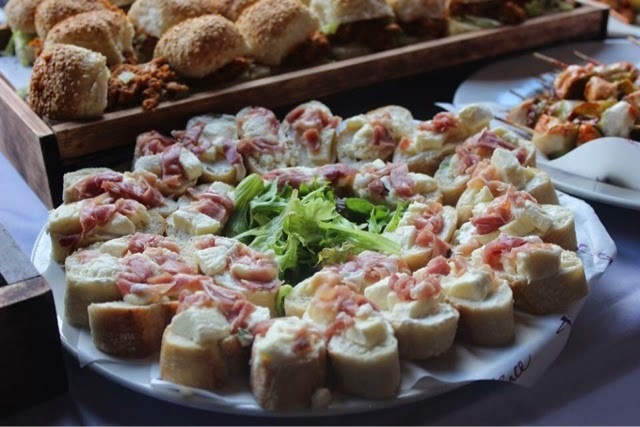 It was a great event and I think everyone thoroughly enjoyed themselves. 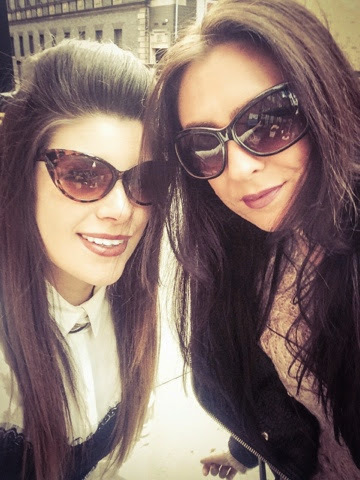 Kerry and I had to take the initiative and visit Selfridges beauty hall afterwards of course. I’ll be posting about soon as well. I had an idea a couple of weeks ago that I’ve started to work on, and talking to a few people at the #bhmbloggermeet has really helped me, but I’m going to be running an official bloggers event in partnership with 48 Hours of Fashion. If you haven’t seen it before, it’s a yearly event to showcase fashion and retailers in Nottingham run by some of the big organisations in the city. I was in a work meeting with some of these people the other week and I began to think how cool it would be if I could host an event in the city to tie-in with it, focusing on fashion, and of course, beauty. Luckily, everyone agreed so I’m going to be trying to organise it, supported by them. 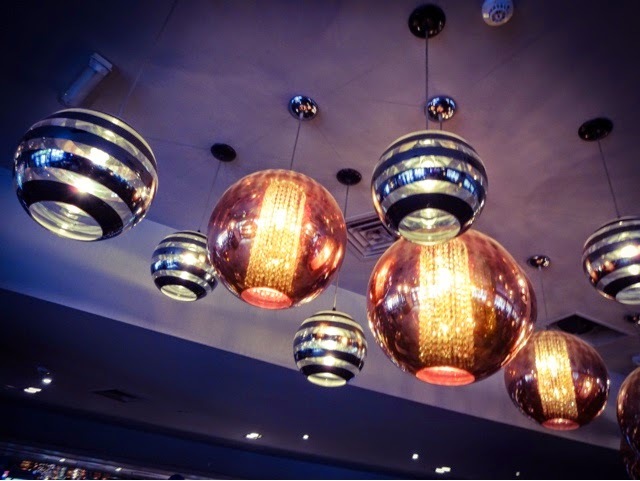 So watch this space for more details…. Great news about the fashion meet up - well done!